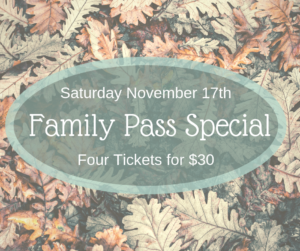 To celebrate our LAST WEEKEND we are having a Family Pass Special on Saturday! Four tickets for $30–that’s buy 2 get 2 free! If you’ve been wanting to come out to the maze, but haven’t made it out yet, this is your weekend! Scouts Welcome at the Maze! Rocky Creek Maze loves to host Cub Scout, Boy Scout, and Girl Scout Groups! All scouts in uniform can take advantage of our special scout rate of $6 (including scout leaders). 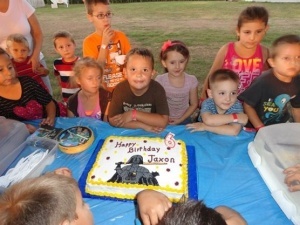 Any additional persons in the group (parents, siblings, etc.) will receive a $2 discount. Make a reservation online or by calling 361-772-4718. Once you have completed either of these two tasks, purchase your scout patch at the concession stand for only $1. Happy scouting! Rocky Creek Maze is the perfect place to bring your group! Birthday parties, Girl Scouts and Boy Scouts, church gatherings, reunions, or just a whole bunch of you getting together for lots of fun – the maze has something for everyone! With groups of 20 or more, make a reservation online or by calling 361.772.4718 and receive $2 off each general admission ticket. Discount only available with reservation. Donate Can Goods and Get a Discount! Well, we all love a good discount on our purchases, and Rocky Creek Maze is no exception. So, we’ve continued our canned goods discounts again this year. You’ve got it, bring in a canned good or nonperishable and receive $1 off admission (one canned good per guest). All goods collected will be donated to Lavaca Assistance Ministries Body (LAMB), a local charity here in Lavaca County.